It is hard to let a snow storm, no matter how insignificant the accumulation, go with out baking a batch of cookies. This is the perfect recipe for this situation because it produces a mere 16 cookies. They will disappear far quicker than the snow. I use a 1 1/2″ ice cream scoop for the cookie dough – The perfect size for most cookies. 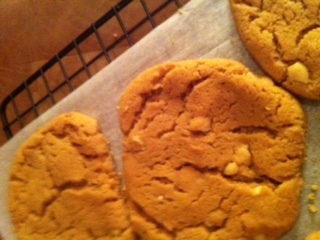 This entry was posted in Recipes and tagged cookies, dessert, Flourless, Peanut Butter. Bookmark the permalink.